Fisher Price, a well-known company of toys and baby gears, took a broader step as they partnered with Proud Parenting to launch the Proud Parenting LGBT Family Photo Gallery. The said program aims to increase the visibility of the LGBT parents and promote interaction among LGBT parents and the community. 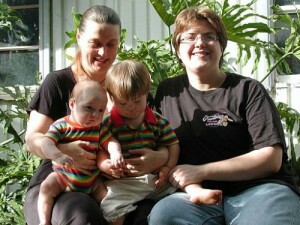 This is a great opportunity for Fisher Price to advocate equality in parenting by supporting LGBT through this project. Gabriel Blau, of Family Equality Council Executive Directors, recognizes and appreciates Fisher Price’s new venture. Read the full article in the Parent Herald at: http://www.parentherald.com/articles/6993/20150616/fisher-price-proud-parenting-launch-program-increase-visibility-lgbt-parents.htm .